Obtaining Florida Business General Liability Insurance Quotes Online is easy with Click & Save Insurance. Find the most affordable Florida Business General Liability Insurance available based on your unique business needs. Our team of business insurance professionals are here to assist you. Call us today at 1-813-643-7770 for all of your Florida Business Insurance needs, or click here. Whether you have been in business for decades or you just opened your doors, there are insurance coverages that you should explore and consider as your business grows. While not all of the many business insurance policies are required, you should be aware of them and understand when they are right for your business. Property Damage or Bodily Injury: This covers you or an employee if you injure a third-party or damage some else’s property. This could include damage or injury at a physical location you rent or own for your business. 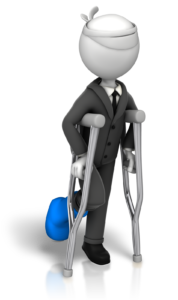 Medical Payments: CGL covers medical payments resulting from bodily injury your company may be held legally responsible for as a result of a claim. Legal Expenses: Legal representation to defend you and your business regardless of fault. Personal & Advertising Injury: If you or company has been sued for libel or slander, this could help cover your expenses.